With proper cleaning and care, your beautiful granite can last a lifetime. Natural stone is an investment. Not only just of money, but of care over time. If you take good care of it, granite lasts a lifetime. Develop a regular maintenance plan and your granite counter tops will remain strong and lustrous for decades. Granite is one of the most varied natural stones available for your counter tops. It comes in almost endless colors and no two slabs are the same. It is an igneous rock made of thousands of crystalline structures of mica, feldspar, quartz, and other minerals. As it is forming, the crystals grow into one another creating granite’s unique granular look and extreme toughness. Favored above many other stone counter tops, granite is valued for its resistance to acids and its hardness. It is a porous stone and can be stained or damaged if not sealed before use. Granite is a favorite counter top material for many reasons. It stands up to daily use without showing wear and continues to look as great as the day you installed it (use cleaner with polish). It is also gives you a huge amount of flexibility design-wise. It’s the little things that count. Your daily habits could mean the difference between a dulled counter top and a bright shiny one years from now. Do wipe counters off frequently to remove debris. Do use cleaner with polish. Do wash with stone soap or a pH neutralizer. 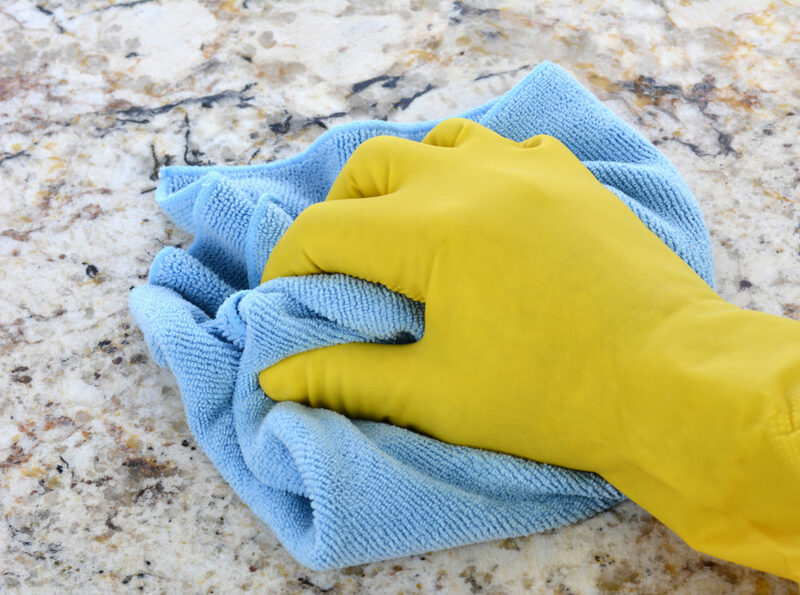 Do dry counters thoroughly after cleaning or spills. Don’t use abrasive substances to clean counters. Don’t use vinegar or lemon juice to clean. Every project follows a custom procedure to accomplish the most effective, well planned, and highest standards of crafts and service needed for each project. •Remnants at the shop are often used to accommodate small areas. 3. Layout slabs – view slabs in detail to match preferred area of slab into project for maximum effect of movement of vein, book matching seams. Usually done at shop but can be done at importers for convenience. •set up plumber for client when needed. •All under mount sinks are frame build cabinet supported or mechanically anchored into back of stone. 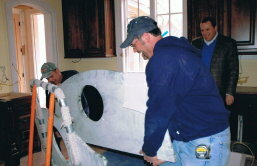 Sinks are all sealed around inside of sink with a maximum of 1/8” overhang of stone over sink. Edge around sink is rounded. •Grade A Granite is always recommended in residential environment. Other grades can have an irreversible effect if used. I am so happy with the job that they have done! It was easy and fast! I wanted a unique top made for a dresser I turned into a vanity and he made it happen! envisioned it!. Did my kitchen and master bath. If you are in the market to upgrade this is the team to call! If you want a true granite craftsman call Mike Jenkins. He does the most incredible job. He did our Master Bath and it was beautiful. Check out his artwork too-it’s fabulous.